Do you have any pics of the new grafts? Doing it this time of year is fine, I would have thought closer to Spring? Approach grafting is probably idealy done early in spring but as this was done as part of a demonstration to explain the technique it was done now. I dont think there will be any issues with any of the grafts even though they have been done a little early. Bud grafts/ side grafting is a tecnique where timing seems to be much more important where as approach grafting is far more forgiving. Why don’t you start weakening the host branch? This is a technique I learned from Japanese apprentices that seems to shorten the time a bit. 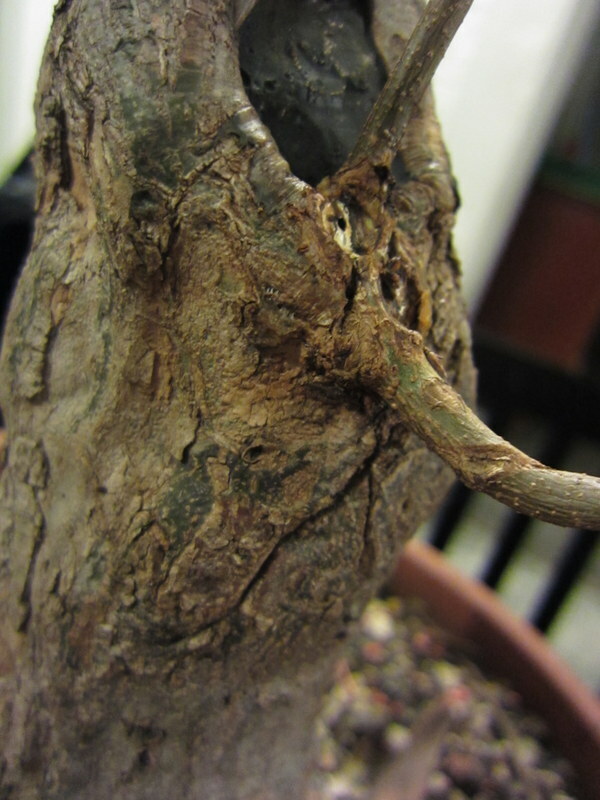 By making incisions at strategic points on the original branch, it supplies less nutrients to the graft, forcing it to take nutrients from the trunk/union. It sounds good in theory and has worked well for me. Hope your workshops are going well! « Corky Bark Chinese Elm.